We’ll be there, standing in Booth D06. Come say hi. We’ll sell you some things, like our new prints and the Sixth PostScript Collection, all of which will be debuting there. 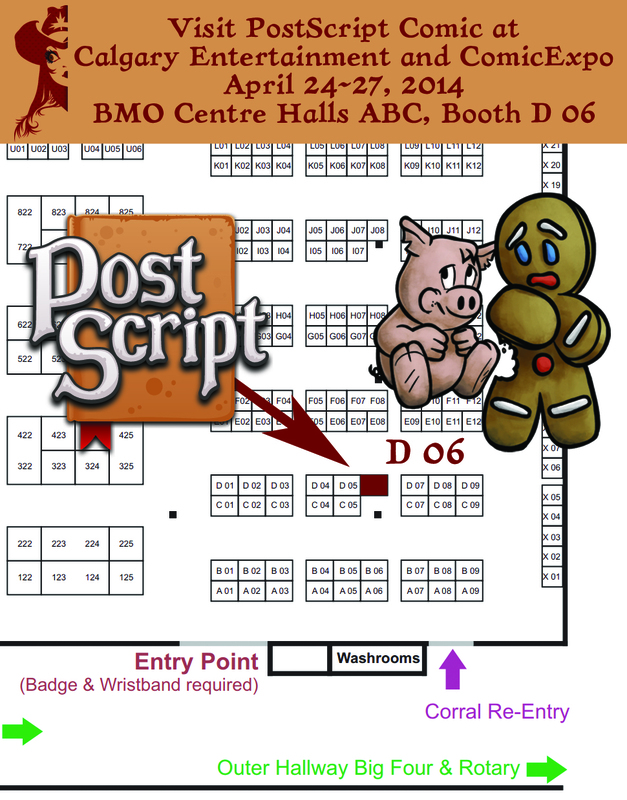 If you’re not at CalgaryExpo, you can find us at Toronto’s FanExpo in August. If you’re not in either of those places, we’ll be happy to ship you things too.